Developed intellect. Paper laminated on mantle,"ACHIEVEMENT". Topic: The police caught me..
Topic: Their coming to take me away! Acro: Controlling everyone's really tough. I'm fractured into "Anne", "Beth", "Linda", "Eunice." Acro: Weeks after I've started, there's little improvement noticed. Exasperating! Acro: Hidden in truck's cab hovers heinous icepick killer. I'm now goner! Topic: Why is it that you never acro as well in tournaments as you do when you play normally? 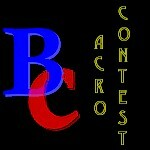 Acro: The others usually recycle, negating all my exceptional natural talent. Acro: Infected, Need Vaccination. In Tijuana, Avoid "Trade" Individuals... Outcome's Nasty!! Acro2: Impending Nuptials... Vows Inescapable! Trojan(tm) Accidentally Torn, Impregnated Ovulating Neighbour!! Acro: French underwear nestles tightly in my "exit"!